Wet -n- Wild War Depotting Project! Hey Ladies so Recently I came across an awesome You Tube video on how to put all of the Wet n Wild Color Icons into One Large Palette. When I saw this I was like Effin Genius! I don’t know about you all but I love the color Icon palettes and yes all 30 somethin of them lol. However the Love is Bittersweet because there is nothing worse than trying to get ready and fumbling through all these cartridges to find a color you need, not to mention the amount of space those little guys take up . So Here is my version of what I did. I would take out the whole drawer to find what I needed, but took up space on my vanity while getting ready. Still doesn’t solve the issue of going through the different palettes to find the colors you needed. I Thought I was going to want a large palette to put them in , but after some thinking I wanted something a little smaller and that I could get a couple of them to sort them out my colors and what not and that weren’t so bulky. Plus being Magnetic they would stick right in the pan. Patience can be time consuming! Towel to keep your workspace clean you will get dirty ladies sorry. I used some cheapy dollar store tweezers had lying around which worked better for me so I didn’t have to touch the hot pan after I popped it out. SAFETY FIRST!!!!!!!!!! Please Please Please be careful while working with a lighter for all my younger viewers! Work with an Adult if you can ! Now Carefully begin to put the heat directly under the pans you are trying to remove from the palette. The purpose of this is to melt the glue that is adhering the metal pan to the plastic palette. Ok so at this point once I knew It was ready to be popped out I grab my Tweezers and Pop the pan from underneath . You want to be careful here because the shadows are very soft and crack easily if you are rushing or pop it out too hard and it falls on something. You want to work pretty quick here at this step because the heated plastic will cool and you will have to reheat it to push the pan out. This is why I prefer the tweezers. The Pan is still Very Hott, so you don’t want to touch it for a few mins. It may also have some melted glue on the bottom as well so let it sit for a bit before putting in the palette. 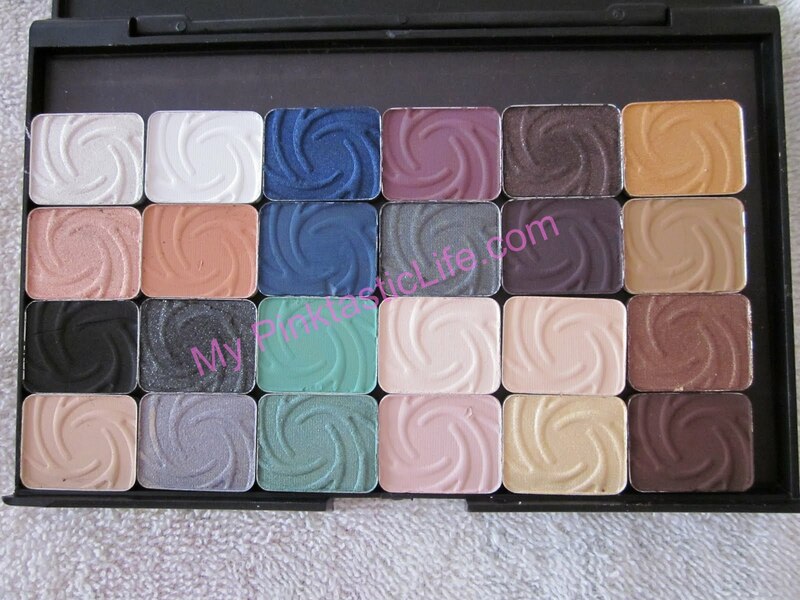 Now you do not have to get a magnetized palette you can just glue the pans to a palette of your choosing. I personally find it a lot easier and like I said before I can take them out and arrange them however I like and as you can see they dont come out even held upside down! So to Jazz up my New Palette I came across a blog a while back that showed you how to decorate your palettes. I can not for the life of me find the blog I saw it from or remember the name . Shame on me because she had such awesome Ideas and she is who I learned this from . If I remember I will definitely include her name because she deserves credit! Modge Podge: I chose Matte Finish but they have a Glossy one too! Card Stock or Designed Paper from your local Craft Store. Flip Over and press it down firmly onto the Palette. Make sure you do this well . I used a Credit Card to Swipe Across and make sure I got all the Bubbles out! Very Important Step! Again Apply Evenly. Modge Podge is Similar to the Consistency of Elmers Glue when painted on Something just so you have an Idea! I tried to paint as even as possible following in the same Direction. Important to now over work it and not go over twice because it will begin to set soon and you may get a botched up palette. Now we wait about 15 mins…..
You should end up with a completely Dry and Matte covered surface! I still have a bunch of Wet n Wild Palettes to de pot but need to get more empty palettes to put them in . I Will also be decorating all my other palettes as well. Will keep you guys posted as I finish my lil projects. Happy Depotting! Looks like you put in a hards day work depotting those palettes hehe. I love your decorating the palettes. As a makeup artist I have everything labeled and my own designs on each palette so noone can pick it up and claim it as theirs. Hey Mrs. Makeup Love your blog and thanks fro stopping by. Was tired of looking at just blah palettes. Thats is a great idea what you do that def ensures no one walks away with your goodies! Thank you for doing this! I will definitely be using it. I have 3 of the 6 pan palettes and one of the 8 pan. It is a pain to find what I’m looking for because they are in a drawer with my single eyeshadows. This is perfect! Wow girl! This is genius!! I absolutely love the way yours came out. So awesome. Where do you get the empty palettes from? Thanks girly I added the Link up above the seller is from Ebay. 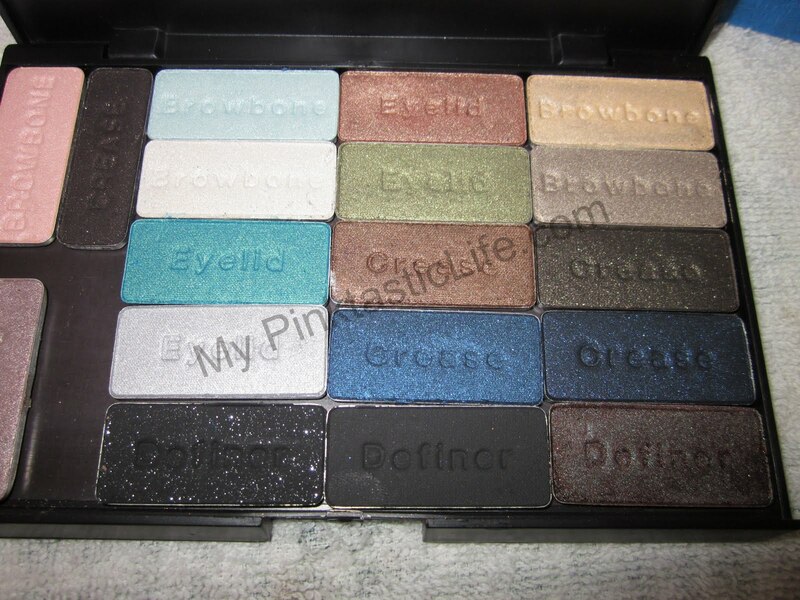 If you want a larger palette StarsMakeupHaven.com has large ones! Hekk of cute. I have never thought to do something like this lol. Thank you for sharing. Wow that looks like it must have taken so long to do. Even the post with so much details & pics. I love the idea of decorating the outside of the case very chic. This looks fabulous! Props to you!